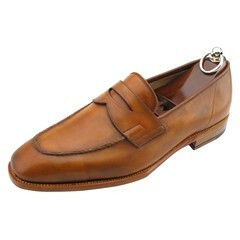 We can apply a hand patina to the handgrade penny loafer in any color you can imagine. 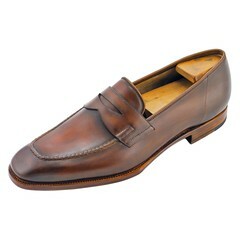 We strongly recommend that you first try on the medium brown penny loafer so you can be sure of your size, as custom items may not be returned. The patina process will take about 3 weeks. 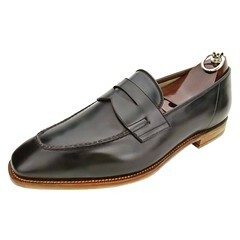 The most important step is the application of Saphir Renovateur, which should be done ideally once a week.